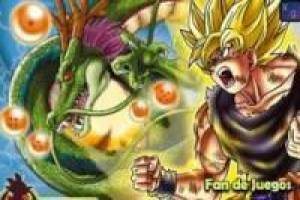 Comes the next installment of the game we all hope as fierce dragon ball fighting 2.7. Search and find the seven magic balls struggling and fighting the feared warriors of space. Can you save the saiyajin ?. 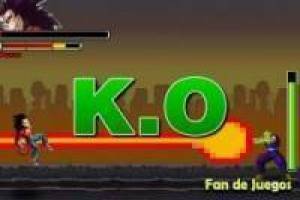 You'll have to learn to control the fighters of the Dragon Ball series to keep fighting and attacking with devastating attacks. If you can fill the energy bar you can perform devastating Kamehameha. If you do not know how, we'll explain in an easy and simple way. 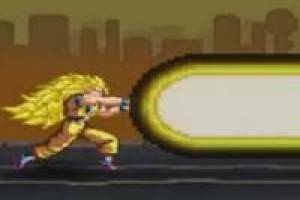 When you have the energy bar full you you pressed the following keys in the order: SDJ long as you are to the left of the screen and if you are on the right side you have to press the following keys in the order: SA J. Easy, right!. So come to the Kamehameha. 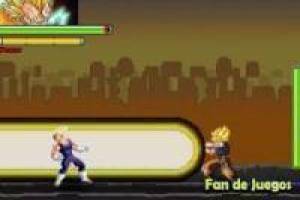 Enjoy the game Dragon ball fierce fighting 2.7, it's free, it's one of our Dragon ball z games we've selected.